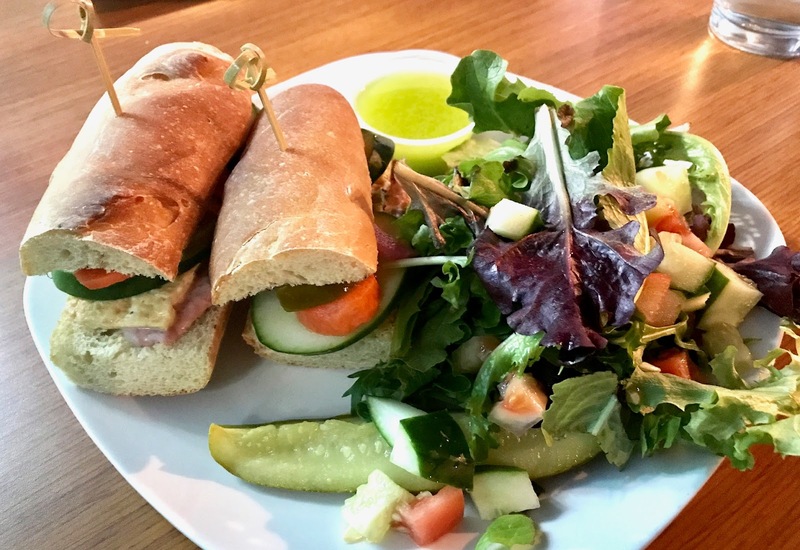 Vegan Crunk: Banh Mi! Vegan Pastries! Savory Bread! Banh Mi! Vegan Pastries! Savory Bread! Monday night is $3 draft pint night at Midtown Crossing Grill, my Crosstown neighborhood bar/pizza parlor, and I'm there many Mondays enjoying cheap booze. Last Monday, Paul and I grabbed dinner there, as well as beer. It'd been too long since I'd ordered my namesake sandwich, the Bianca Banh Mi (tofu, hummus, pickled veggies, cucumber on baguette) with a side salad. I always order the wasabi vinaigrette because it's amazing. Last week, our baker at the cafe at Crosstown Arts (where I work) made a Vegan Basil-Pesto Twist Bread with vegan mozzarella stuffed inside. I had to try it, so I ordered a bowl of the soup du jour — Sumac-Spiced Red Lentil Soup — to enjoy with it. The soup was topped with vegan tazatziki. So creamy! And perfect for this chilly (but warming!) spring weather. Last week was really just a storm of pastries for me. I had more dessert in a week than one should have in a month, including a (not pictured in this post) carrot cake and lemon hand pie on Ostara. I also had one of these amazing Chocolate Pecan Twist Buns with Vegan Cream Cheese from Crosstown Arts. And I grabbed one of these Guava-Pineapple Hand Pies from Crosstown Arts on Friday to enjoy after my Saturday long run. This was a real treat after running 18 miles! Needless to say, this week will be filled with whole foods and far less sugar! OMG YEEESSSS!!! Your namesake looks delicious and OMG that basil pesto twist bread looks like everything I need in my life. I am also drooling over the chocolate pecan twist buns, wow! You are seriously so lucky to have all of that available to you where you work! That is amazing. I love banh mi sandwiches sooooo much! I agree that your namesake sounds amazing!! The guava hand pie really is speaking to me!! You definitely earned it!! I want some of those buns! I am a sucker for cream cheese. Everything looks amazing. The guava pineapple pastry sounds especially delicious. Were all the baked goods worth it? Nothing is worse than crummy baked goods. Those layers looks divine! 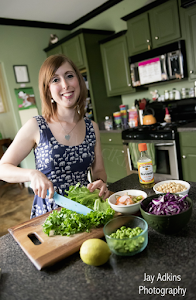 I'm a 13-year vegan/23-year vegetarian in Memphis, TN. 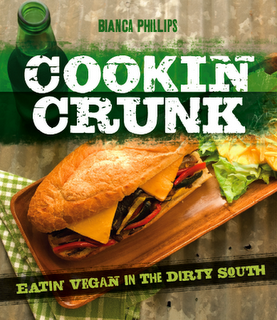 And I'm the author of Cookin' Crunk: Eatin' Vegan in the Dirty South. Get Your Copy of Cookin' Crunk!! Vegan Crunk was named in Feedspot's Top 100 Vegan Blogs! 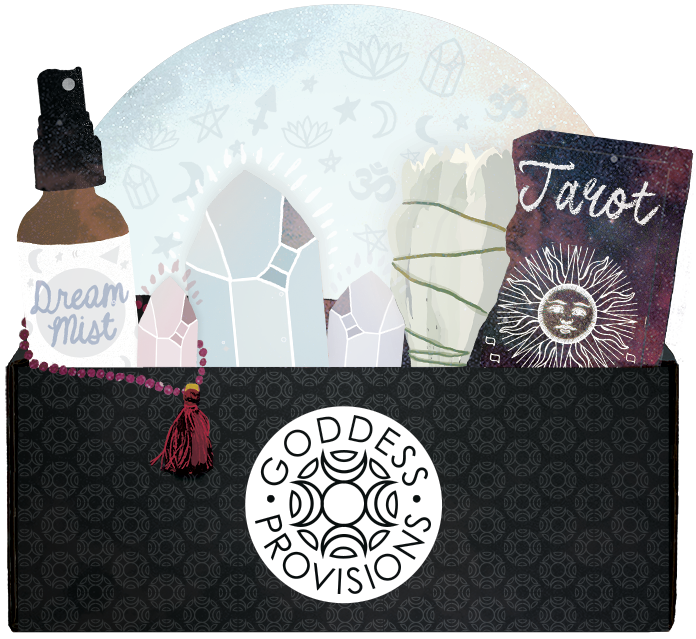 Check out the monthly Goddess Box subscription!! Sign up for a monthly delivery of crystals, vegan chocolates, teas, & more! Vegan Eggy Eats for Spring! Chickpea Spaghetti! Potato Turnover! Smoothie! The No Meat Athlete Sauce System!